Alfred Gustavus Baker was born in Philadelphia on December 17, 1831. 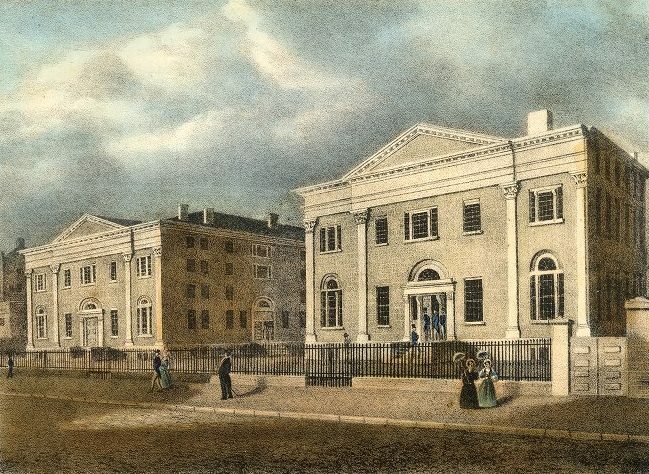 He entered the sophomore class of the University of Pennsylvania in 1848. While at Penn he was president of the Zelosophic Society and a member of the Zeta Psi fraternity. After graduating, Baker worked as merchant from 1856 to 1870. He later served as the president of the Franklin Insurance Company of Philadelphia from 1869 until 1882. Baker also served as the president of the National Board of Fire Underwriters of New York City from 1877 until 1880 and of the American Academy of Music from 1884 to 1892. For many years he served as vice president of the Alumni Association Collection Department for the University and supported it loyally until his death in Philadelphia on December 20, 1892.